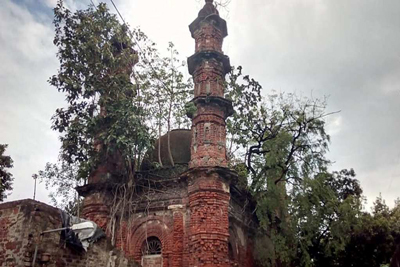 Located at 6C Beliaghata Main Road, just at the rear of Sarkar Bazar near Sealdah, there stands the battered and worn out structure of a nameless mosque It is a mysterious and abandoned mosque, as it is no more used for prayers by the Muslims. However, it is far from empty. 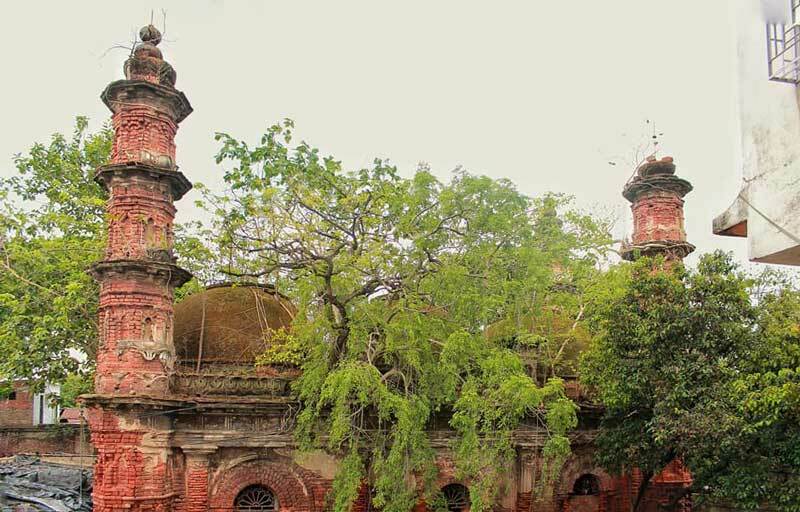 What was once a mosque is now occupied by a Hindu family, who use it as their residence and storing place. 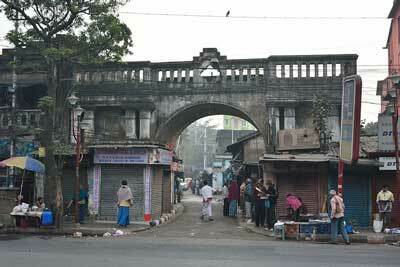 Apart from that, it is encircled by slums, which makes it difficult to find the entrance. Nevertheless, in one of the dilapidated walls, there is a closed door, made of corrugated sheet. 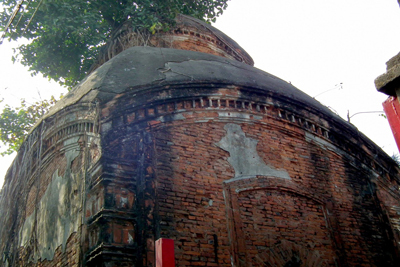 The mosque has three domes and four minarets, which suggests it was a Sunni mosque, since a Shia mosque would have domes numbering 5 or multiples of 5.It is also evident that once it had stucco ornamentations, most of which have vanished exposing the age-old bricks. 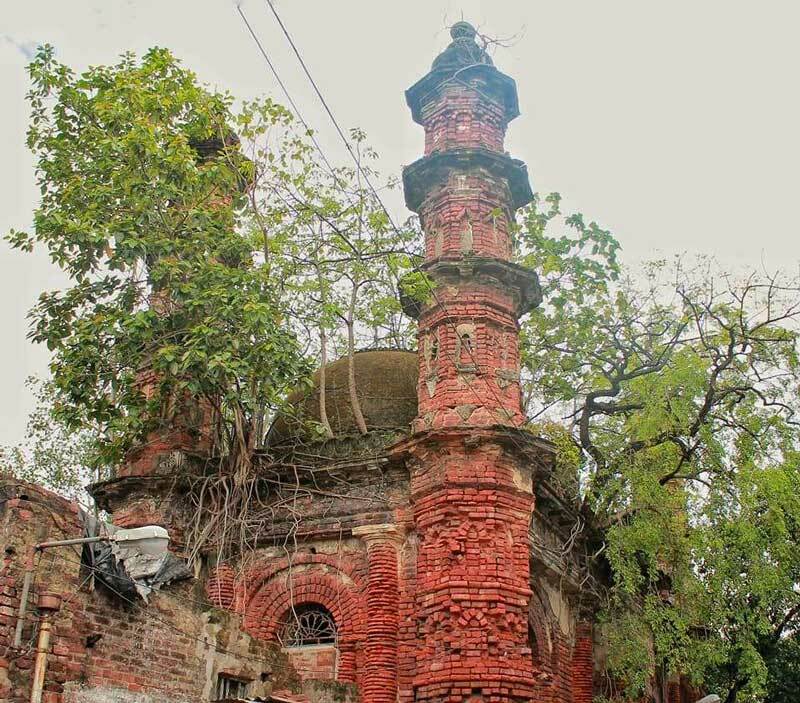 It appears that the mosque was constructed by Bibi Saulatunnesa, a resident of 6, Beliaghata Main Road and it was part of a Waqf estate established by her on 13 Feb 1908. Rows of shops were also constructed attached to the mosque and the rents from the shops took care of the payment of the muezzin and Imam, along with the maintenance and other expenses of the mosque. Apart from that, Bibi Saulatunnesa had created an estate consisting on 15 cottahs of land in the area surrounding the mosque. After her death, a Maulvi, named Mohammed Mujtaba, used to take care of the mosque, but he was very much irregular in submitting the accounts to the Waqf board. 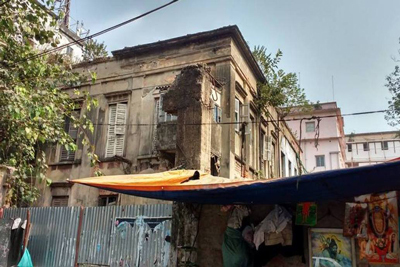 Subsequently, in 1946, the Maulvi shifted his residence from Beliaghata to Karaya Road, near Park Circus and soon became untraceable. As it was assumed that he left for the erstwhile East Pakistan (now Bangladesh), the board appointed Janab A.M. Ashraf in his place. 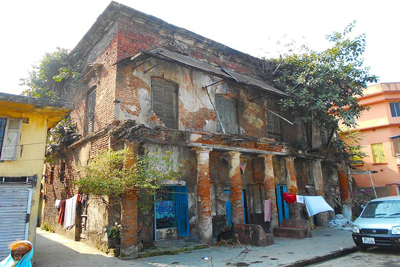 It is possible that, Mohammed Mujtaba left Calcutta in the wake of the communal riot in Calcutta in the month of August 1946, when the streets of Calcutta were littered with corpses. 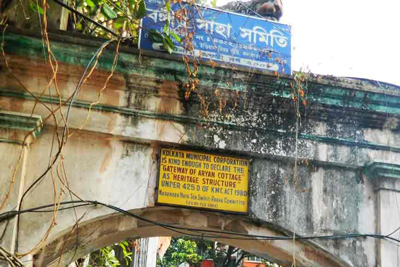 In fact, during that time the Muslim families of Beliaghata left the area to the homogeneous Muslim neighbourhoods for safety and as a result the mosque became deserted with no one to offer prayer in the place.